Just under a year ago, GFR reported on a four-month simulated Mars mission taking place in Hawaii, which focused primarily on feeding astronauts decent food for their long-term stays on other planets. Hi-SEAS (Hawaii Space Exploration Analog & Simulation) researchers are now testing various kinds of extra vehicular activities, comparing the difference between 3D-printed tools and conventional instruments, devising better and safer astronaut training and preparation methods, identifying techniques for distinguishing different volcanic minerals on Mars, growing plants under different wavelengths, and refining methods of converting trash to gas, as well as studying psychological and emotional challenges and adjustments to such a taxing mission. Mars One is the non-profit organization based in the Netherlands that wants to jumpstart civilization on Mars by sending a group of colonizers on a one-way jaunt to the Red Planet. 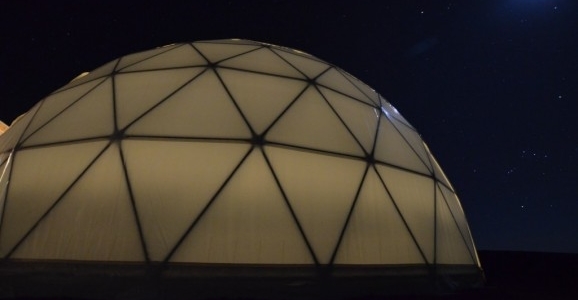 In order to help the participants prepare for their deep space adventure, the group recently announced that they plan to build multiple practice facilities to give the potential pioneers just a small dose of what they’re in for along the way. If you’re like us, you can’t help but imagine this as playing out something like the plot of Bio-Dome, only with less Baldwin, probably, and certainly less Pauly Shore. I can’t imagine anyone signing on to spend the rest of their natural life in close quarters with the Weasel. 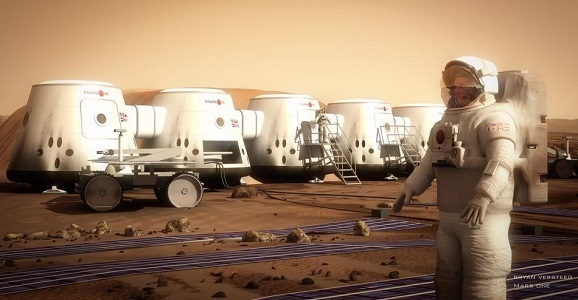 For those of you who haven’t heard, the Dutch nonprofit Mars One is aiming to start sending humans to the Red Planet in 2024. The field of over 200,000 aspiring pioneers has been whittled down to just over 1,000. All of these applicants are ostensibly ready to leave their Earthly lives behind. 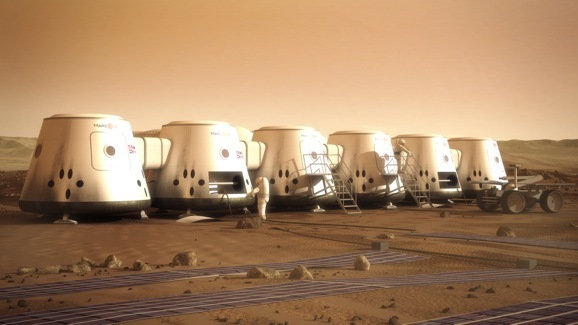 Among many other aspects, Mars One has a particularly interesting funding plan. Aside from donations, it plans to fund this ambitious project by turning the whole thing, application process and all, into a reality television show. In this day and age, is this really surprising? 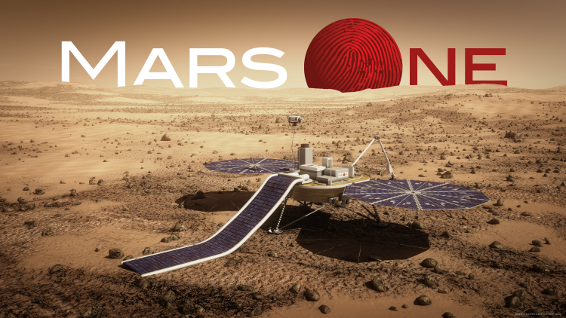 Now, Mars One will join forces with Lionsgate TV and they’re about to start shopping the show to networks. After initially denying the rumors, founder Bas Lansdorp says that Mars One is “eagerly awaiting the contract” with Lionsgate, and will “make a more detailed announcement when a contract is signed.” Despite the lack of verified details, plenty of information is surfacing on the old interwebs, including an interesting news bit that Lionsgate will start a casting search of its own, eventually merging with what Mars One has already started. This seems a bit confusing. 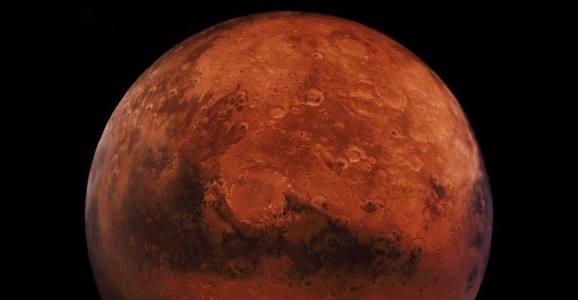 Does this mean starting from scratch, rather than looking back over the Mars One applicants? The earlier applicants submited videos in which they discussed why they want to go to Mars and what qualifications they bring. Would Lionsgate applicants do the same? What qualifications are necessary for a reality television contestant other than a propensity for drama? Bear in mind that the shuttle ride to Mars will take 7-8 months. If there are any drama queens in four person groups, they’re all liable to kill each other, or themselves, long before they even arrive.